In November 2016, a minor child was playing on a climbing wall at the Orlando Science Center when her foot or leg got caught in the equipment. She was severely injured and in a lot of pain. Her parents recently filed a personal injury lawsuit against the center, alleging that the business failed to maintain its premises in a reasonably safe condition. They are bringing claims on behalf of their daughter, who is too young to legally advocate for herself. 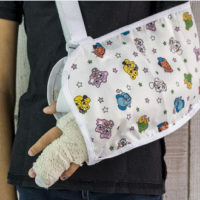 Keep in mind that some of the rules are different when a negligence claim involves an injured child instead of an adult. Q: Who can file the lawsuit on the minor child’s behalf? A: The general rule is that only adults can file lawsuits in Florida. But a child’s parents or legal guardians may file a personal injury lawsuit on the child’s behalf. Q: What is the deadline for filing the lawsuit? A: In Florida, the statute of limitations, or deadline, for filing a negligence claim is generally four years from the date of the accident. However, the rule is different when minor children are involved. Florida law tolls (delays) the time limit for filing the lawsuit if the child doesn’t have a parent or guardian, if the parent or guardian’s interests are adverse to the child’s, or if the parent or guardian is incapacitated and unable to sue on the child’s behalf. The rules are also different if the claim involves medical malpractice. An experienced attorney can explain the various time limits. If you miss the deadline then you won’t be able to recover compensation for your child’s injuries, so make sure you contact an attorney immediately. Q: What kind of damages can be recovered in a child injury lawsuit? A: Generally, the same kind of damages that can be recovered in an adult injury lawsuit can be recovered in a child injury lawsuit, including medical expenses, pain and suffering, and lost earning potential. In some cases parents may also be able to recover damages for their own injuries, like loss of companionship. Q: Can I agree on a settlement amount without court approval? A: It depends on the settlement amount. If the settlement amount is less than $15,000 the child’s parents or guardians can settle the personal injury claim without court approval. If the amount is more than $15,000 then the parties must seek court approval by filing a petition including the facts of the case, liability issues and other relevant details. Contact an Orlando personal injury attorney at The Pendas Law Firm today for a free consultation if your minor child is injured by a negligent act. We will explain your legal options and help you recover compensation on your child’s behalf. The Pendas Law Firm also represents clients in the Fort Lauderdale, West Palm Beach, Fort Myers, Miami, Tampa, Jacksonville, Daytona Beach and Bradenton areas.